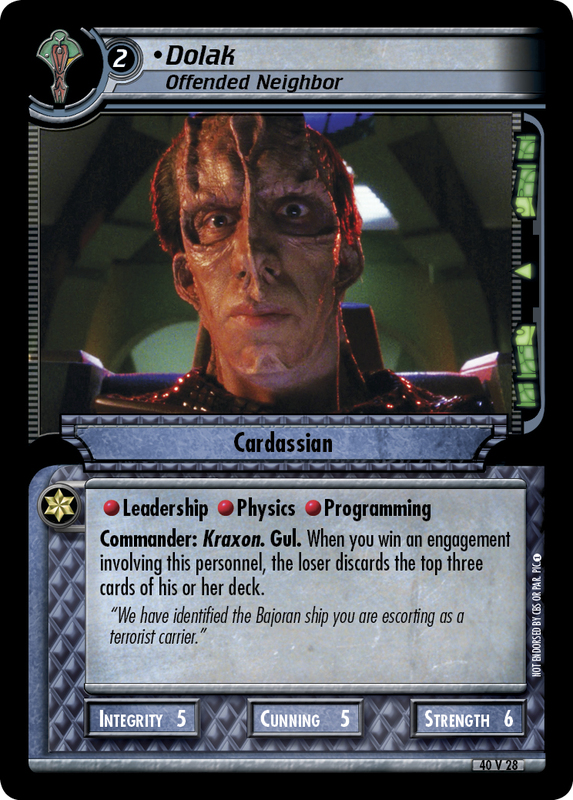 Commander: Kraxon. Gul. 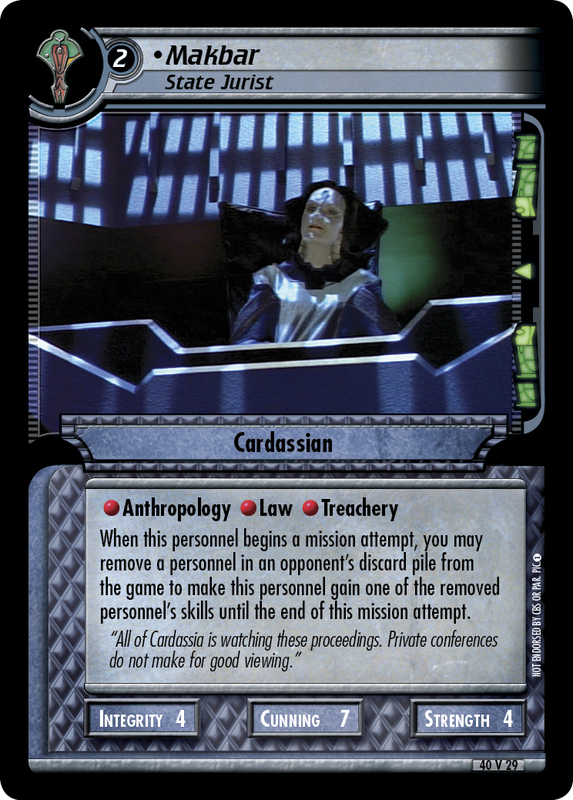 When you win an engagement involving this personnel, the loser discards the top three cards of his or her deck. 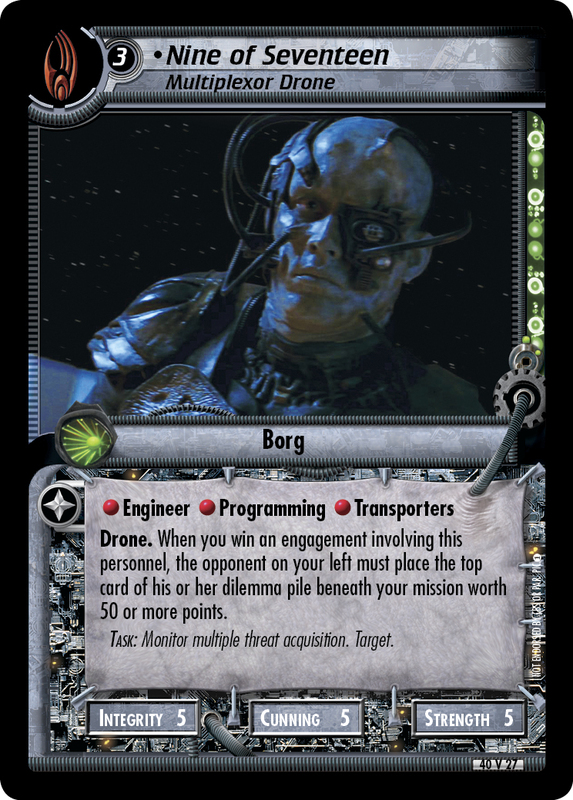 "We have identified the Bajoran ship you are escorting as a terrorist carrier."